A Lebanese satirical comic last week threw what may prove to be either its final launch party – or the first of its resurrection. 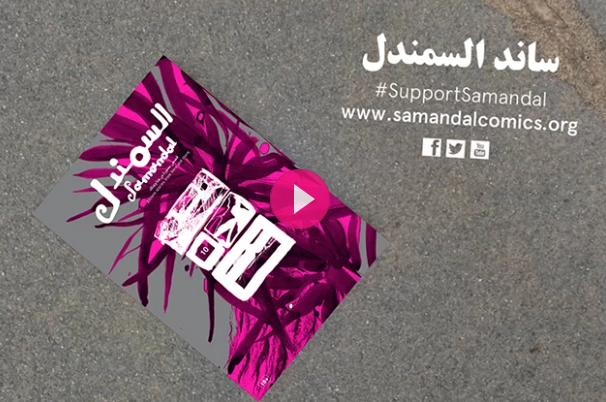 The event marked Samandal magazine’s attempt to crowdfund its way out of oblivion after three of its editors were convicted of crimes against religion and fined for their work, nearly putting the experimental comics collective out of business. For five years, editors of the Beirut-based magazine kept fairly quiet about their legal troubles. In 2010, editors Omar Khouri, Hatem Imam, and Fadi Baki were charged with “inciting sectarian strife”, “denigrating religion”, “publishing false news” and “defamation and slander” for two comics that appeared in the seventh issue of Samandal. The case dragged on for five years, after which the three were surprised to be found guilty. Within two weeks, they’d lost an appeal. See more about the crowdfunding campaign. Previous What’s the Real Nature of Ahmed Naji’s Novel ‘The Use of Life’?